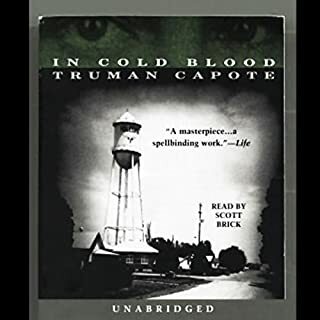 What could Truman Capote have done to make this a more enjoyable book for you? Avoided hours of irrelevant, non story info...psychological evaluations of criminals went on forever, first person story telling continuously switching which person was first person, gobs of data about other prisoners on death row in Kansas at the time, all in all it was as if there was 4 hours of story and 10 hours of text book, I've been a member for years only having returned one book , before this one, now it will be two...I definitely want my credit back, Great narrator and start to the book though. If you could play editor, what scene or scenes would you have cut from In Cold Blood? too many to list, but over 50% of the last 7 hours. The plumbing was prone to leaks, the furniture rescued from garage sales. And every square inch was being devotedly restored to its original splendor - even as a relationship fell to pieces. Now Francesca Thayer, newly separated from her lawyer boyfriend Todd, is desperate. The owner of a struggling art gallery, and suddenly the sole mortgage payer on her Greenwich Village townhouse, Francesca does the math and then the unimaginable. She puts out an advertisement for boarders. Soon her house becomes a whole new world. Danielle - Did you really write this? Would you try another book from Danielle Steel and/or Arthur Morey? Arthur Morey Yes!! Danielle Steel no way. 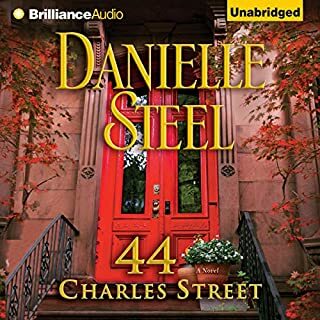 Has 44 Charles Street turned you off from other books in this genre? What does Arthur Morey bring to the story that you wouldn’t experience if you just read the book? There was so much repetition it was extremely frustrating...how many times does she need to say she locked off the upstairs room, there were a number of phrases that were just the same thing repeated over and over and over. It might be a good read for someone with dementia, whoever did the editing on this book must have divided it up into chapters and passed it around as a group edit, can't believe they didn't catch all that but Bleh. The sad thing is...there is a cool story there, just told badly.